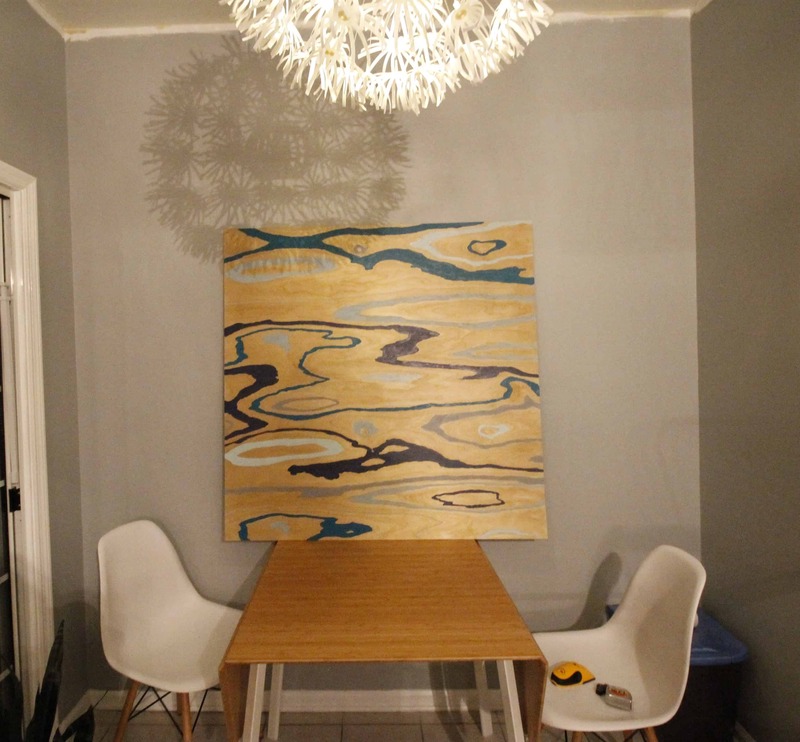 We recently did a wood grain painting for our kitchen and added 3-D mounting. After peeling the wallpaper and painting the walls, the huge wall in our eat in area looked so big and blank. We didn’t want a gallery wall since we already have one on the stairs and one in the sunroom, and so I decided on large scale art. 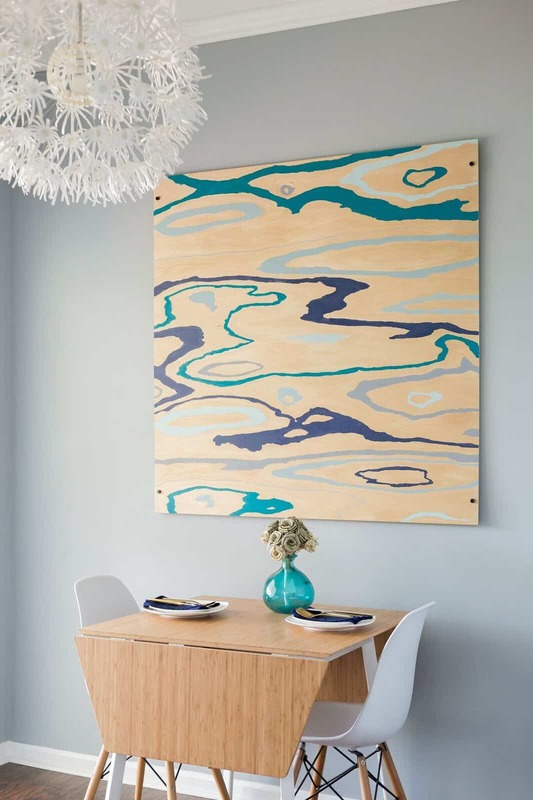 I have been oogling the gorgeous grains of the birch wood sheets at Lowes, so I decided that a 4×4′ wood grain painting would be the perfect addition to this space. 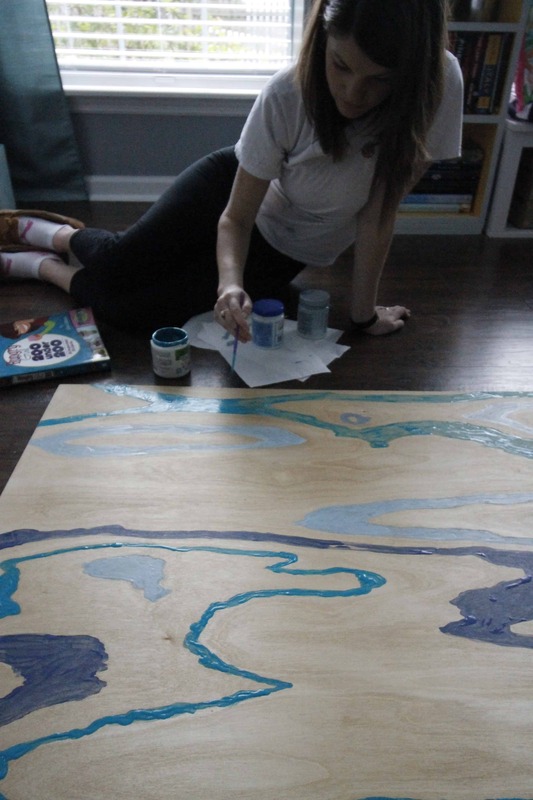 Using a sheet of plywood as a canvas has a lot of benefits. 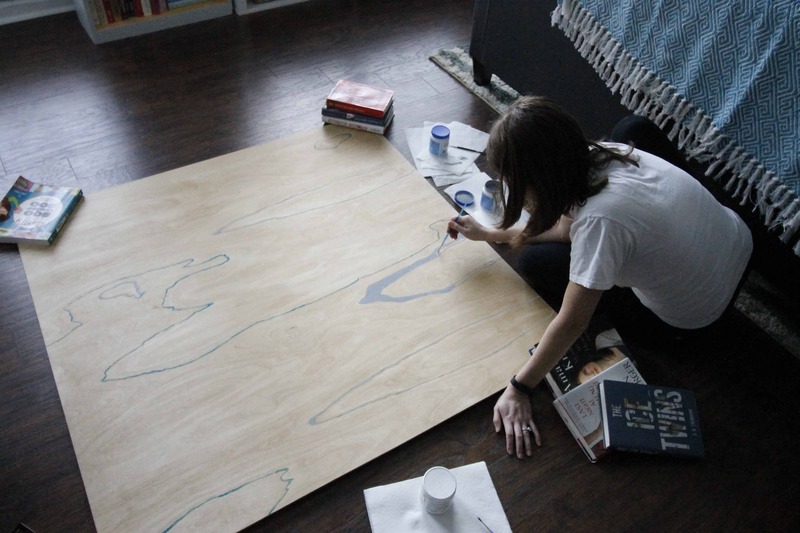 First, it’s cheaper than a canvas this size. Second, it has a lot of natural beauty that I sought to highlight, not cover up, using paint. 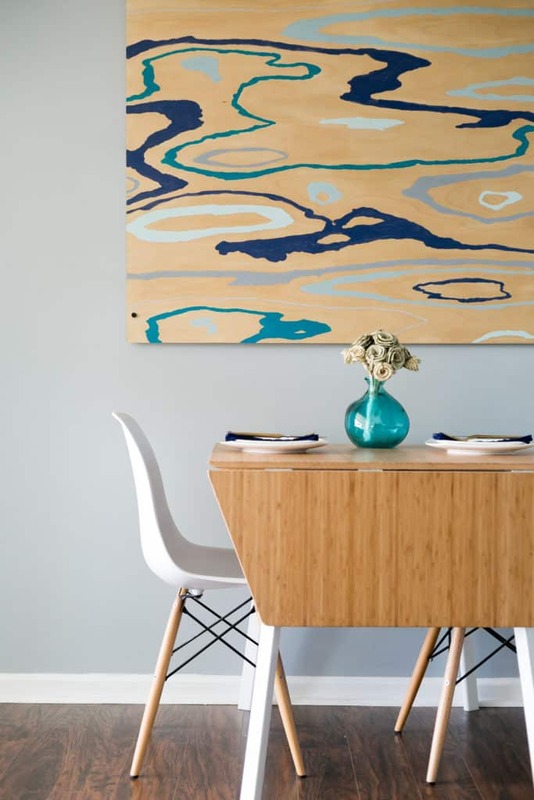 Finally, the color of the wood really adds warmth and a natural feel to the space. I also came up with a pretty unique way to 3D mount it so it pops off the wall, so keep scrolling if you are interested in that! 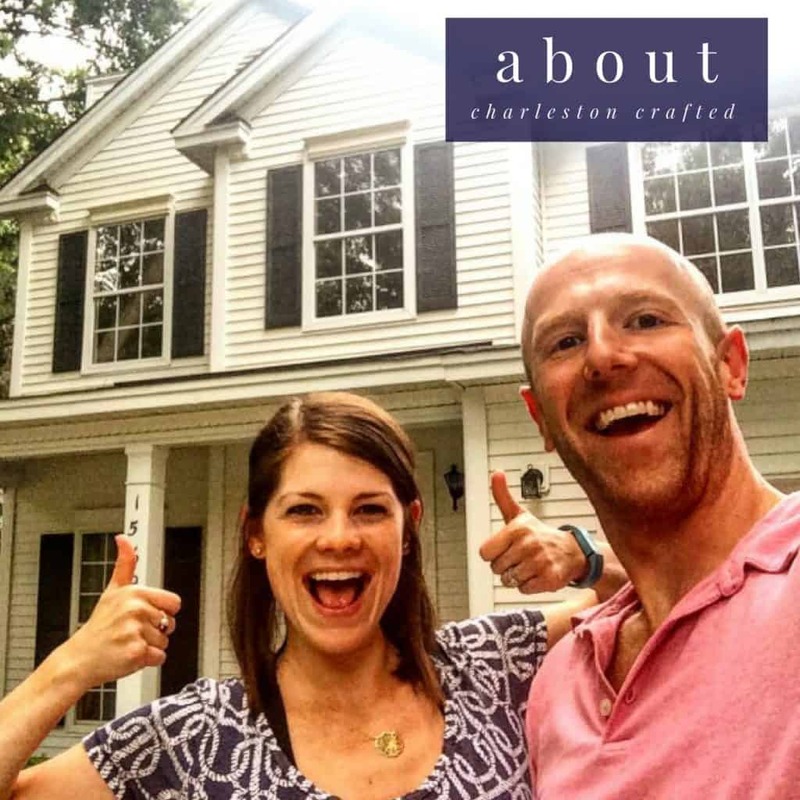 Sign up for our newsletter here full of more DIY and home content! I considered painting different designs or shapes, but I kept coming back to why I loved the wood – the beautiful grain. So, I decided to just wing it. Like I said, the goal of my painting was to emphasize the grain. It almost felt like flowing water to me, especially once I got my blue paints in there. First, I used our can of Restore a Finish to coat the entire thing. This is much lighter than a stain and just really made the grain pop. 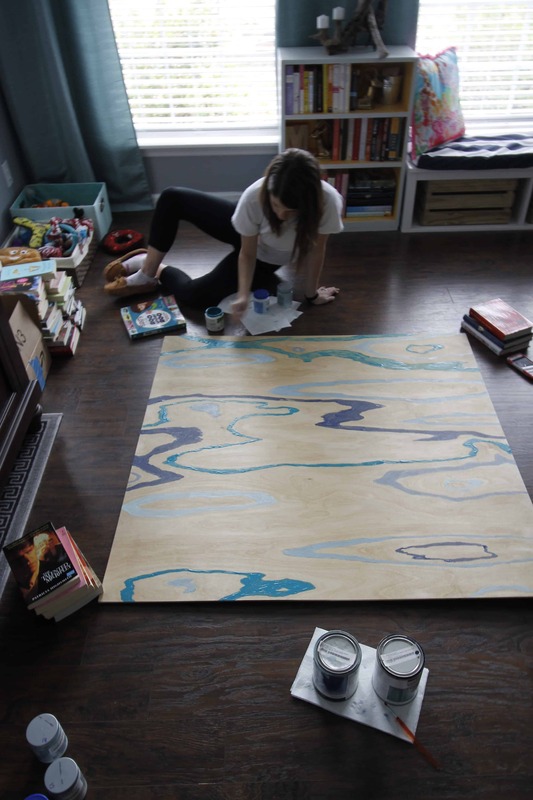 Bonus: we used it on some of the boards for our dining room table, so it brings the two spaces together nicely. 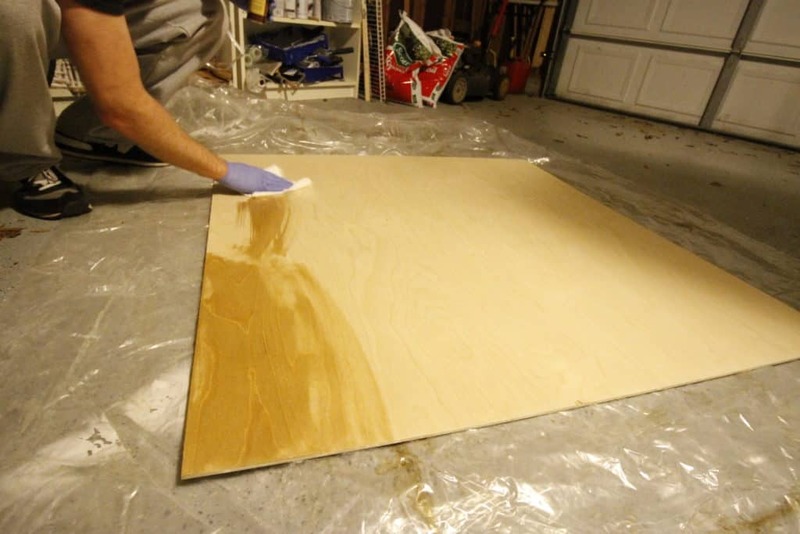 You could use any type of oil or stain to get the base color of the plywood where you want it to be. Next I grabbed left over paint samples and used a thin paint brush to trace some of the grains, randomly. I filled some in thicker than others (choosing 2 parallel grains and filling in all of the space between them). Certain sections needed two coats, but it was a really easy process. 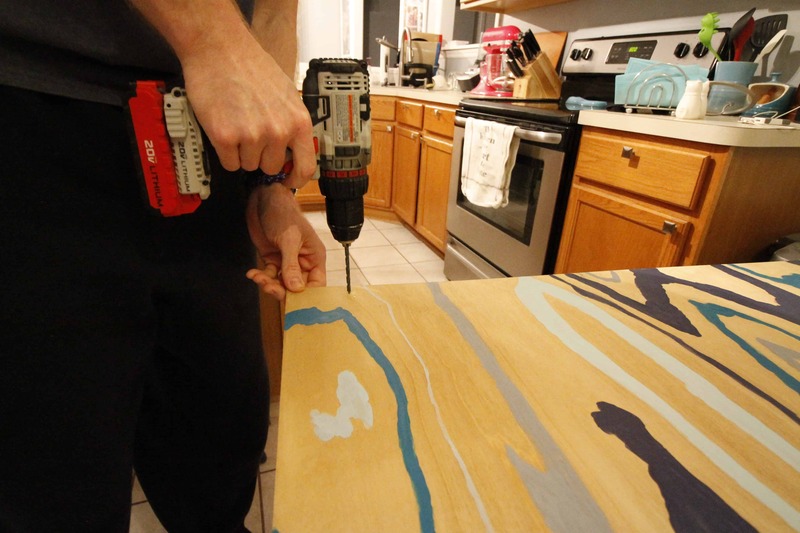 Sean mounted the board by drilling four holes in the corners of the board and equally into the wall. He used leftover chunky black screws that came with the sliding barn door kit as the mounting hardware. He also added some space between the wall and the art in order to give it a three dimensional feel by putting a big hex nut on the screws between the art and the wall. Then, when they were screwed in, there was about an inch of space between the wall and the art. The final product looks outstanding! What have you been putting up lately? Any new art projects?! This is such a fun idea! 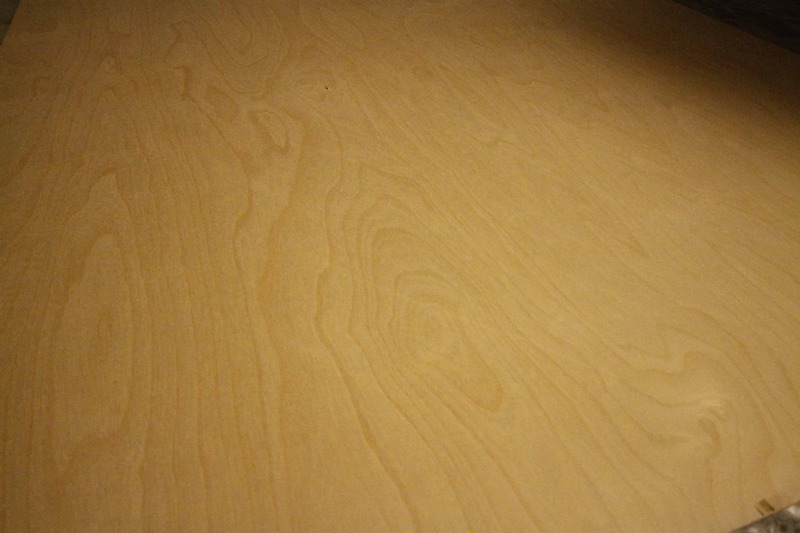 I love wood grain anything.